Syrah or Shiraz? It's the same red wine grape, just going by a different name depending on where it's grown. In France, it is known and grown as Syrah, and responsible for some of the Rhone Valley's big, bold red wines. However, in Australia and South Africa, it goes by the sassy moniker of "Shiraz." In either case, this versatile grape is completely capable of producing dark, full-bodied wines. Climate, regional influences and producer preferences make a dramatic mark on the final wine's style and price point. While France and Australia stake significant claim on this remarkable red wine grape, the U.S., South America, Italy and Spain all find ways to accommodate this tasty and adaptable grape variety. Stylistically, Syrah is largely influenced by the specific climate zones in which it is cultivated. In the Northern Rhone, where the weather is a heady mix of warm Mediterranean influences during the summer and cooler Continental winters, Syrah takes on dark fruit nuances, with a decent dose of black pepper, smoke, and herbal undertones. Some of Syrah's best label locales in the prestigious Northern Rhone come from the famous Cru vineyards in the AOCs of Hermitage and Cotie-Rotie. In the Southern Rhone, Syrah is often blended with Grenache (among other grapes) to add aromatics, additional flavor components, and color. AOCs from the Southern Rhone to look for on the label include the Cote du Rhone and Chateauneuf-du-Pape (literally "Castle of the Pope"). 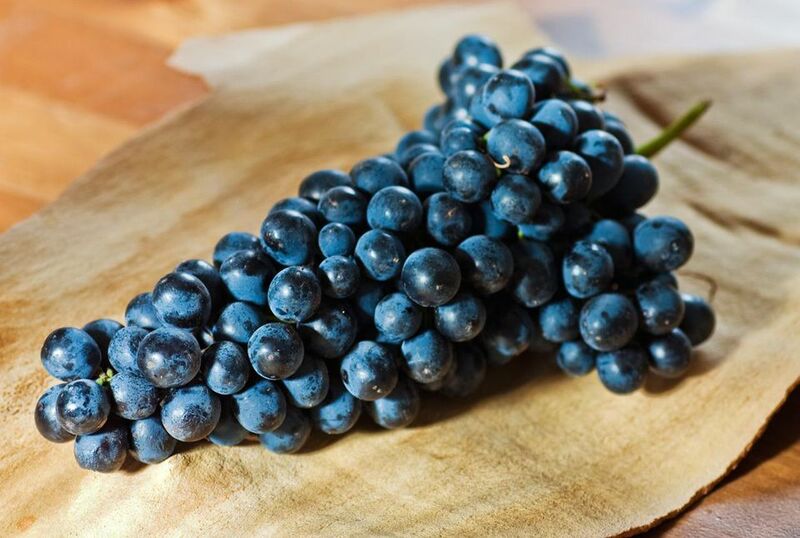 Overall, the Syrah styles coming out of France have less forward fruit (due to the cooler climate conditions), with more earth and subtle spice nuances when compared to the super ripening regions of Australia and California. Shiraz is touted as Australia's spicy, big-hitting fruit-forward red wine. The Barossa and Hunter Valleys along with McLaren Vale are Australia's dominating Shiraz growing regions. As for the grape, it makes wines that are deep purple in color and produces medium to full-bodied wines. In terms of flavor profiles, the fruit character leans heavily into ripe fruit, with jammy notes and often less acidity than much of France. Syrah-based wines tend to display fairly firm, but resilient tannins with flavors of black cherry, blackberry, plum, bell pepper, black pepper, clove, licorice, dark chocolate, earth, olive, bacon, leather, spice, game and smoked meat. Expect more fruit from warmer regions and more reserved, almost tart fruit components along with spice, subtle earth and leather character from the cooler zones. The more reserved style of French Syrah typically partners well with all sorts of lamb-inspired themes or wild game, venison. Australian Shiraz carries considerable food-pairing flexibility and shows remarkably well with all sorts of bar barbecue options, burgers, brats, beef stews and meat lover's pizza. Shiraz - "Shi-Rahz"; Syrah - "Sih-Rah"
What is a Classic French Easter Menu?